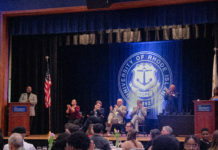 Upon returning to the University of Rhode Island after winter break, some students living in the Roger Williams Housing Complex found their belongings damaged after workers replaced curtains in certain rooms. 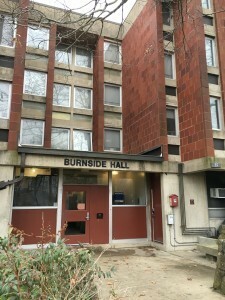 Other Burnside residents had similar complaints, including furniture left pushed into the center of their rooms. Many found sheetrock dust and other residue on floors, beds and on top of shelves. “Moving everything back was a pain,” Sean Hatch, a sophomore Burnside resident, said. He added that workers moved his desk and other objects, which he mistook for being stolen. She said she was frustrated that no one from housing told her that workers would come in to change the blinds. Taufiq said she never filed a complaint because she wasn’t sure “what her complaint would actually do at this point.” Jeffrey Plouffe, associate housing director, is in charge of handling student complaints in this case. Plouffe said he has been made aware of students’ concerns, and plans to meet with the director of the building company that installed the blinds, Lonergan Inc. of Warwick, on Feb. 4. He said there was an email sent out to all residents notifying them that people would be entering the rooms to change the blinds towards the end of the semester. Potak and Hatch have not filed formal complaints yet. However, Potak has contacted her Resident Advisor and Graduate Assistant Housing Director, and plans to file a formal complaint soon. Plouffe encourages students who have any issues to give a written complaint to their hall director so that housing may look into these cases directly.